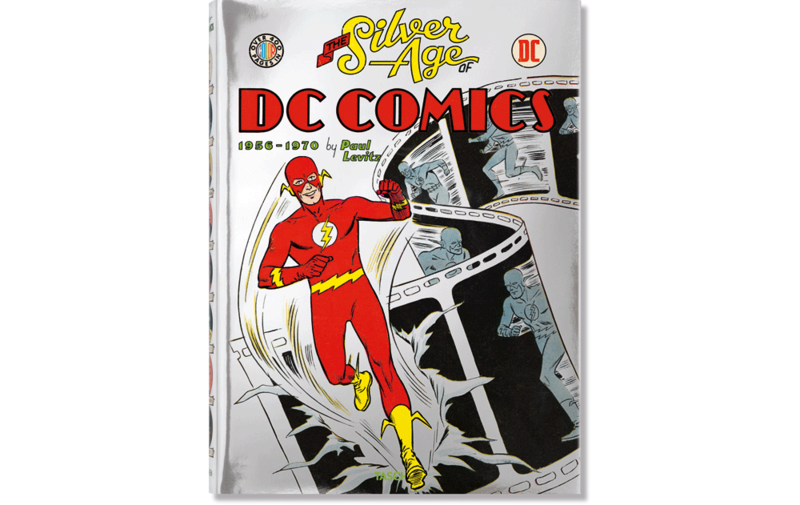 “75 Years of DC Comics” is divided into five sections, each covering a time span of between 1½ to 2 decades. 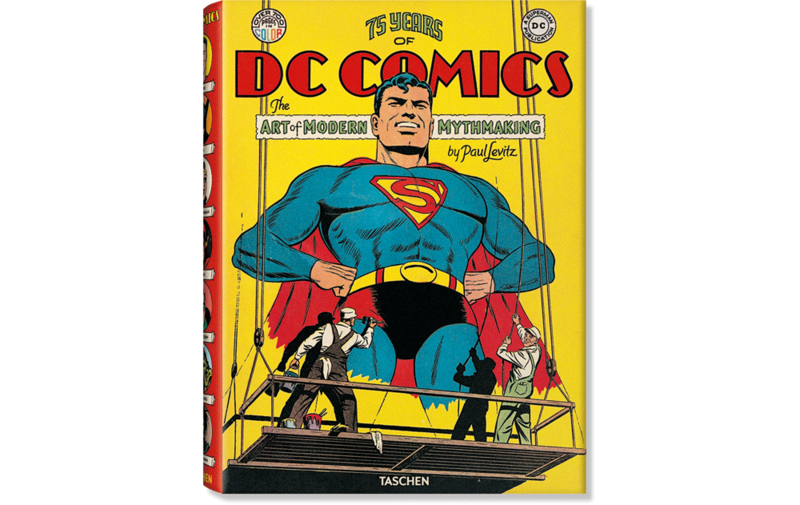 Taschen decided to expand each of those five sections into its own separate, more reader-friendly sized volume, with much more artwork and commentary. Each volume then needed its own special cover art and graphics, and I was again tasked with trying to integrate titling with an appropriate look for each of the five new volumes. 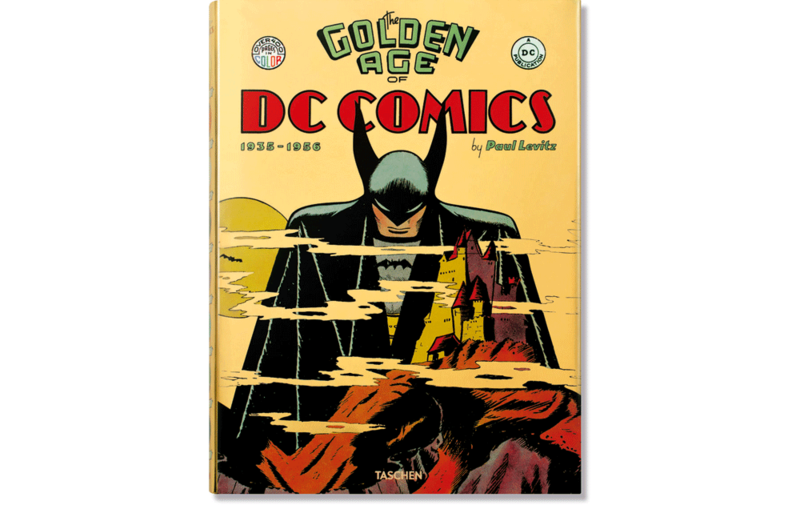 The jackets for each volume were to be made of metallic stock matching the contents—so the Golden Age was to be printed on gold metallic stock, the Silver Age on silver stock, and so on. The process for creating the graphics was much the same as what I did for the “75 Years” jacket—creating five different titling units, each in keeping with the time period it represents, and four more “slugs” to play off opposite the various DC logos (we kept the same slug for “Golden Age” as we used on “75 Years”), each also in an appropriate style to its context. Lest what you see below not confuse you, on the first and last volumes Taschen changed the cover art they selected from what they originally supplied me with. 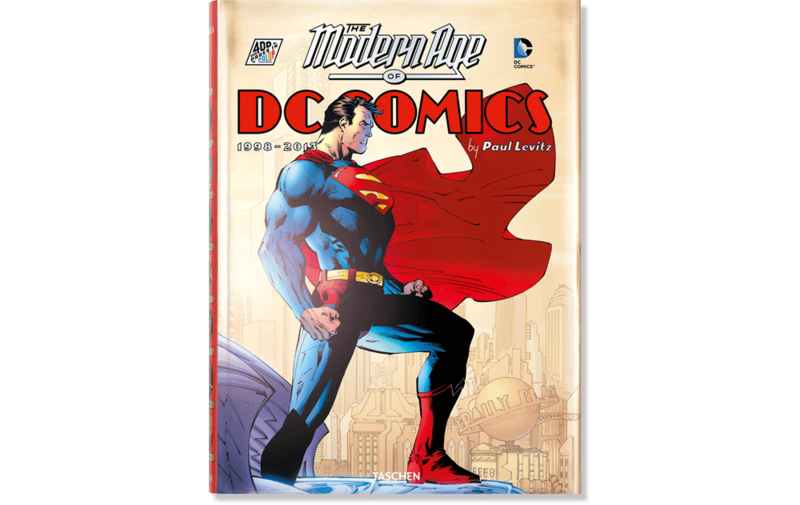 To date, only the first two volumes have been published, “Bronze Age”, “Dark Age”, and “Modern Age” will follow, released one at a time. My comment is actually a question. 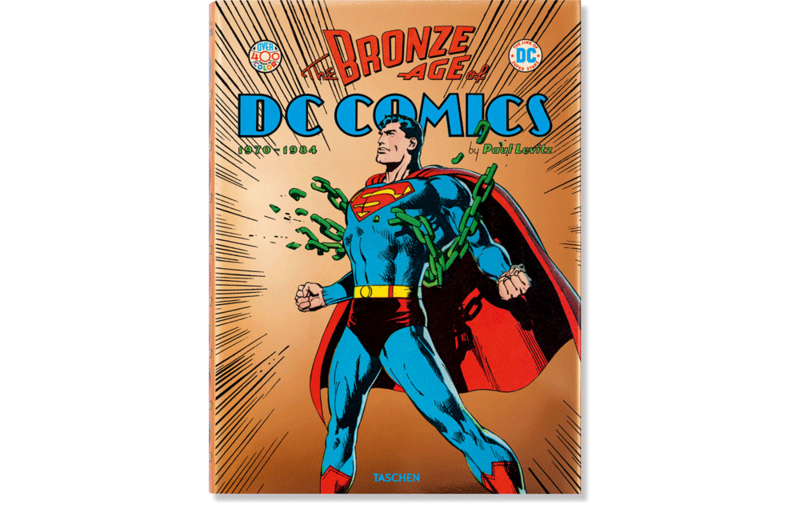 I have bought all volumes so far and finally, maybe next week, the Bronze Age of DC Comics is being released. 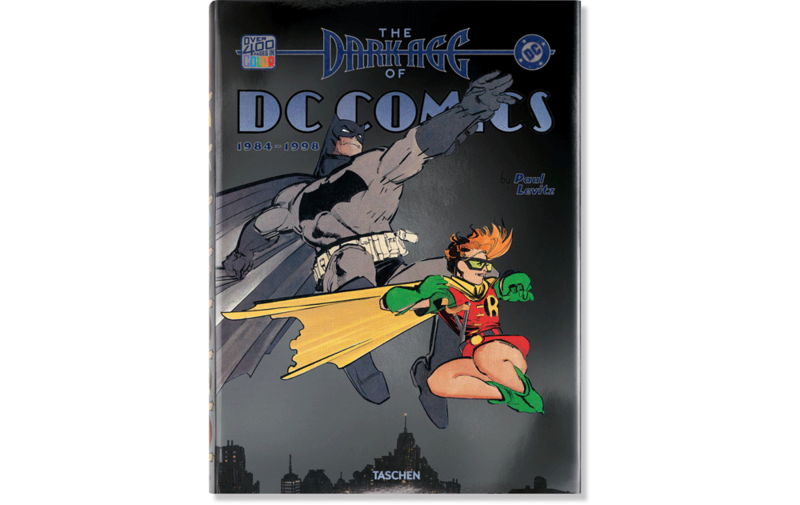 I saw that there was a solicitation for the Dark Age on Amazon but it disappeared as did my order for that volume. Will all the volumes shown here be released? Doea anyone actually know? Thanks for forthcoming info if anyone has any. You are now becoming a legend in Comic Book History! You should show your lettering for Barry Smith’s Logo you did years back for Marvel Comics! It was one of the first impressive bit of Art Nouveau typography I loved as a teen while reading Conan the Barbarian. You’re my super hero, Typoman!